A new year and a new book. 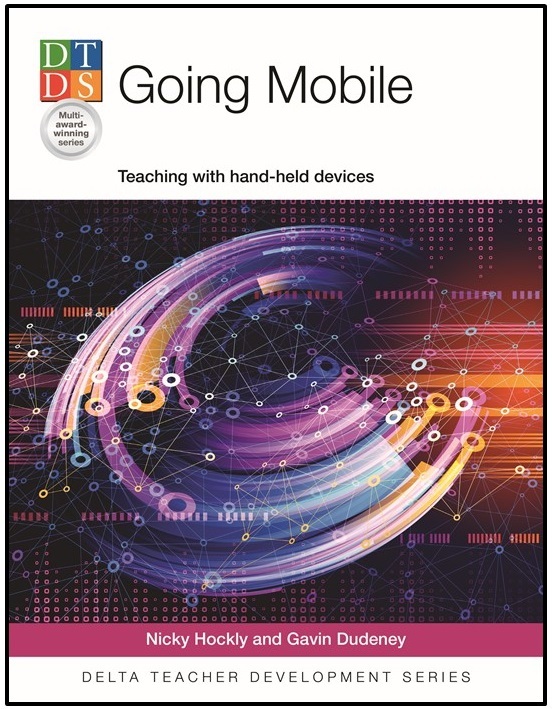 Although published last month (December 2014), the print copies of my new book Going Mobile (co-written with Gavin Dudeney) arrived on my doorstep a few days ago. For me, it’s the perfect New Year gift to finally see the book in print (it’s also available as an e-book). To celebrate, I’m going to share some activities from the book in a series of blog posts over the coming weeks. Here’s the first. 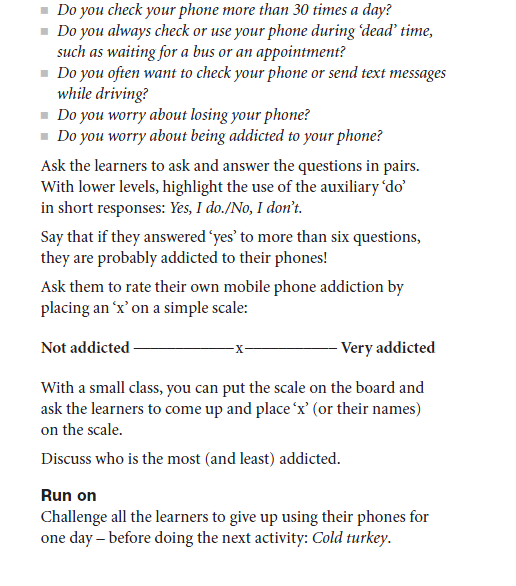 This simple activity gets learners thinking about and discussing mobile phone addiction – a very real phenomenon these days. To carry out this activity you and your learners don’t need any technology at all in the classroom, so it’s a good place to start if you want a slow and gentle introduction to the use of hand-held devices (or if the use of mobile devices is prohibited in your institution – we talk about that in the book too). If you can show videos in your classroom though, you could start off the class by first showing your students this well-known video made (ironically) by a telecom company in Thailand. The strapline of the video is ‘Disconnect to connect’. 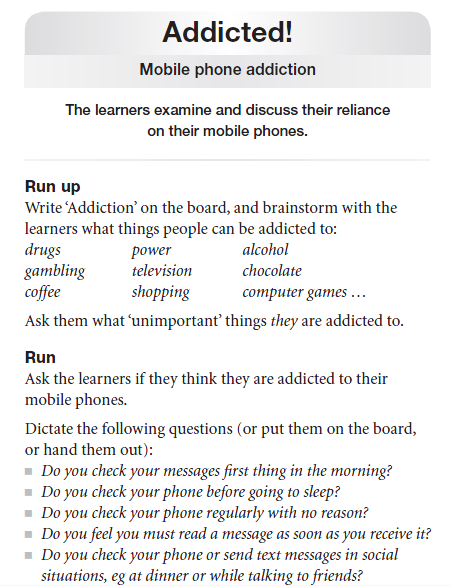 It very effectively introduces the idea of phone addiction and the social costs. If you try this activity with your students, do let me know how it goes (in the Comments box below)!